Bee Theme Inspiration featuring Cristy Cali, Ohm Beads and Trollbeads! 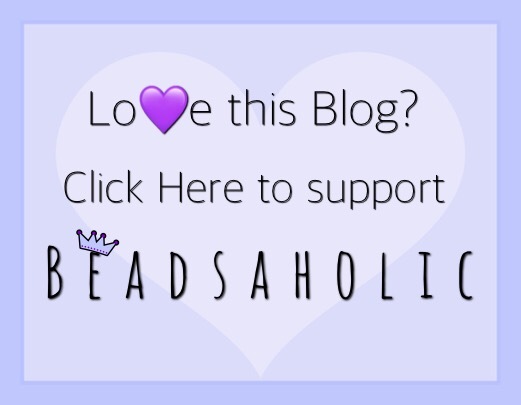 Today Beadsaholic brings a review and an inspirational Bee theme featuring Cristy Cali Jewelry, Ohm Beads and Trollbeads! Bees are some of the most important insects on earth, they are important to our survival as we need them to pollinate our plants. They have a very intricate roll in nature. I have always admired bees and their importance, we must do what we can to insure their survival. I have been collecting bee themed beads for some time now, I recently received a few new bee beads and I wanted to create a combo with these beautiful silvers and sparkly Trollbeads Ambers. In this article you will find photographs of this combination as well as up-close photographs of sections of the bracelet and certain beads. Of course, ambers complement bees perfectly as they resemble honey. Ambers used in this combination are all Trollbeads Uniques. The large focal bee is a pendant from Green Girl Studio. I have a few other beads from this artist as well. I do love her work and wish she would do more in large hole beads and would love to see them in sterling silver. This bee is rather large but works well on the bracelet, I use two rubber rings to keep it in place. Most of Green Girl Studios pieces are made of Pewter. I am still waiting on a brand to make a large sterling silver queen bee like the bee below, but with a crown, that would be fantastic. Cristy Cali Honeycomb & Bee Couture Charm is beautifully detailed honeycomb adorned with six genuine citrine stones and a bee. This is a brand-new charm to the Cristy Cali collection, it is available for preorder today and will release in May. Honeycomb & Bee retails for $78 and can be preordered here. Available with a 10% discount through my link here on the blog. Cristy Cali Magnolia Couture Charm is one of my favorite charms from this particular line of beads. I love the details of each petal and how they curve into each other. Magnolias are popular here in the south to the point that it is the state flower for both Mississippi and Louisiana, they bloom on large hardy trees and have large thick petals that have a pleasant fragrance. Cristy Cali Magnolia Charm comes in an all silver charm and an all silver charm with white enamel. Silver Magnolia retails for $40 and Magnolia with White Enamel retails for $45. Both are available here on Cristy Cali’s Website and using this link you save an extra 10% off your entire order. Ohm Beads Live Free (AAA065) is a fantastic design that resembles the layers of a honeycomb. I really love this bead and its intricate design, it gives so much texture to a bracelet. Live free retails for $45 / €43 / £36 and is available at following featured retailer’s (alphabetical order) Beads Fanatic, Joseph Welch Jewelers, Ohm Beads USA, Perlen, Pianeta Beads and Star Bijou! All ship globally. Ohm Beads Please Survive (AAA066) is a lovely detailed honeycomb style bead. This bead is perfect in pairs, it is on the smaller size, but it gives a bracelet a lot of texture and is perfect not only for this combination but works well on a bangle as spacers between glass. You can see more photos and combinations here in this Beadsaholic article. Please Survive retails for $40 / €39 / £33 and is available at the following shops (alphabetical order) Joseph Welch Jewelers, Ohm Beads USA, Perlen, Pianeta Beads and Star Bijou. Trollbeads Beehive Spacer is perfect for any bee combination and comes with an inside rubber ring to help secure it in place. This spacer retails for $45 / €45 /£40 and is available at my affiliate link Trollbeads USA (only ships in the USA) or any of the following featured retailers who ship globally (alphabetical order) Beads Fanatic, Joseph Welch Jewelers, Star Bijou and Trollbeads Gallery. Trollbeads Bumble Bee Spacer is such a fantastic design that serves as a stopper and fits securely with wings hugging the sides of the bead it’s placed next to. This spacer is perfect paired with the Beehive Spacer on each end of a bangle as well. Bumble Bee Spacer retails for $65 / €65 / £60 and is available at my affiliate link Trollbeads USA (only ships in the USA) or any of the following featured retailers who ship globally (alphabetical order) Beads Fanatic, Joseph Welch Jewelers, Star Bijou and Trollbeads Gallery. Trollbeads Response is a really cool abstract open works design. I thought the design worked well in this combination and adds to the texture. I have been drawn to this bead since receiving it and tend to use it a good bit. 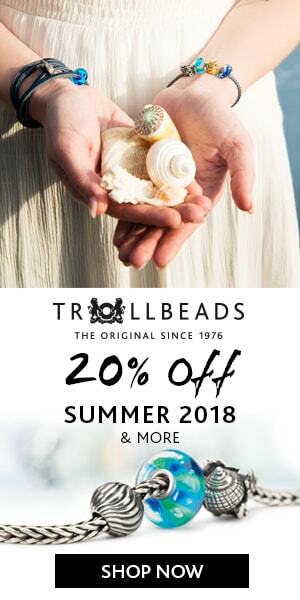 Response retails for $55 / €55 / £50 and is available at my affiliate link Trollbeads USA (only ships in the USA) or any of the following featured retailers who ship globally (alphabetical order) Beads Fanatic, Joseph Welch Jewelers, Star Bijou and Trollbeads Gallery. The Trollbeads Ambers I used in this combination are uniques and if you would like to shop for unique Ambers, they are available at the following featured retailer Joseph Welch Jewellers, Star Bijou, and Trollbeads Gallery. All ship globally. Here is a quick video from today showing these beautiful beads live. Subscribe to Beadsaholic Youtube Channel here. Over all, I’m rather pleased with how this combination turned out and how well the ambers go with the silvers. I think this bee theme would be perfect for Spring, Summer and Autumn. Please note, that links for shopping are provided in the descriptions above, just click on the retailer’s name to be redirected to their website. What are your thoughts on this combination? Any changes? What is your must have Bee themed bead? I’m not a big fan of bees (real or in jewelry as I’ve been stung before), but I love how you put this bracelet together! I can think of a couple other beads you can add to it as well, although they are of other brands and nonbranded as well. Speaking of nonbranded beads. What are your thoughts on those? I tend to find a couple beads here and there that fit into a theme I want and/or has a very detailed design so I buy them anyway, even though they are not a designer brand such as Trolls/Ohm/Pandora. Hey, thank you for the nice review. Ohm beads and Troll look wonderful but I cannot invest in a whole new bracelet brand. I’m all in with PANDORA.